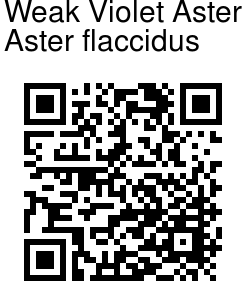 Weak Violet Aster is a perennial herb, 3-30 cm tall. Stems are erect, simple, white (sometimes purple) hairy, more densely so upward. Flower-heads are borne singly, 3-4 cm across, with very numerous (up to 60) mauve, linear spreading ray-florets 1.2-1.5 cm long, and oblong long-pointed, woolly-haired involucral bracts. Leaves are inverted-lanceshaped, narrowed to a stalk, with wavy margins, in a cluser arising directly from the rootstock, Stems are short, 3-12 cm, with lanceshaped clasping leaves usually similar to basal leaves, but sometimes much smaller or absent altogether. Fruit is bristly hairy. Weak Violet Aster is found in the Himalayas, from Pakistan to SW China, at altitudes of 3600-5200 m. Flowering: July-September. 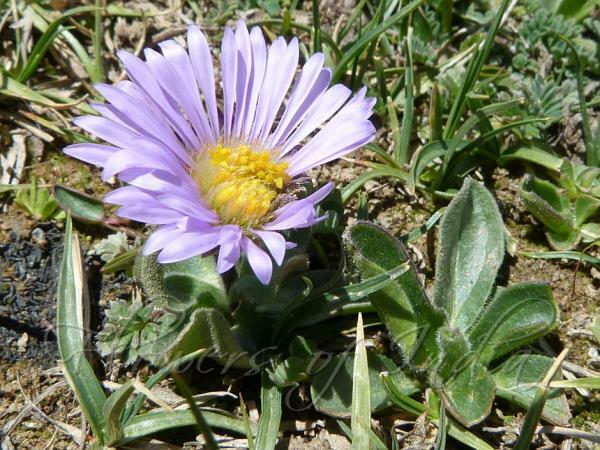 Medicinal uses: Weak Violet Aster is used in bronchitis, cramps, common cold and relieves pain.